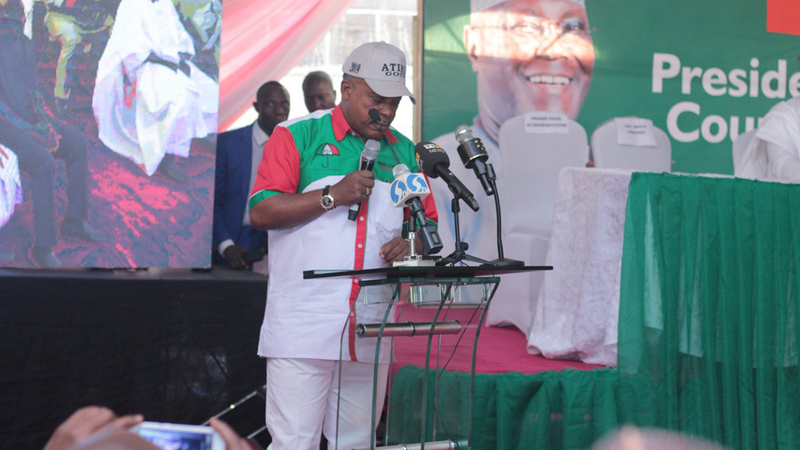 The National Chairman of Peoples Democratic Party, PDP, Uche Secondus, has enjoined the Independent National Electoral Commission (INEC), Security Agencies and other stakeholders to ensure that the forthcoming supplementary elections are transparent. Secondus made the call in Sokoto on Tuesday, while addressing journalists after consultation with Governor Aminu Tambuwal and other party Chieftains. He said that the process should not be militarised, in order not to intimidate and terrify people at the polls. The PDP Chairman said that such allegations made across the country made the Army hierarchy to investigate its Officers and Men’s involvement, stressing that election security should be mainly a Police responsibility. “I appeal to Security Operatives and the electoral body to remain apolitical and respect their laws of engagement, as their neutrality will always accord them dignified respect,” he said. Secondus urged the Electorate and participating parties to play by the rules of the game, and expressed optimism that Tambuwal would win the election in Sokoto. “PDP has confidence in Nigerian laws, and I have confidence Tambuwal, being in the lead, will be declared winner in the March 23 election,” he said. Responding, Tambuwal commended Secondus for PDP’s performance in the elections, and urged Security Agencies to ensure neutrality in election processes. He said intimidation always denied the people freedom and composure to elect Candidates of their choice, and urged those involved in such acts to desist from it.